I always had a problem with Accomplice Affair. There's great deal of dark ambient in their music which usually is a fixed disaster in most cases when someone tries to keep up with the idea of this genre. Pompous and pathetically shallow. 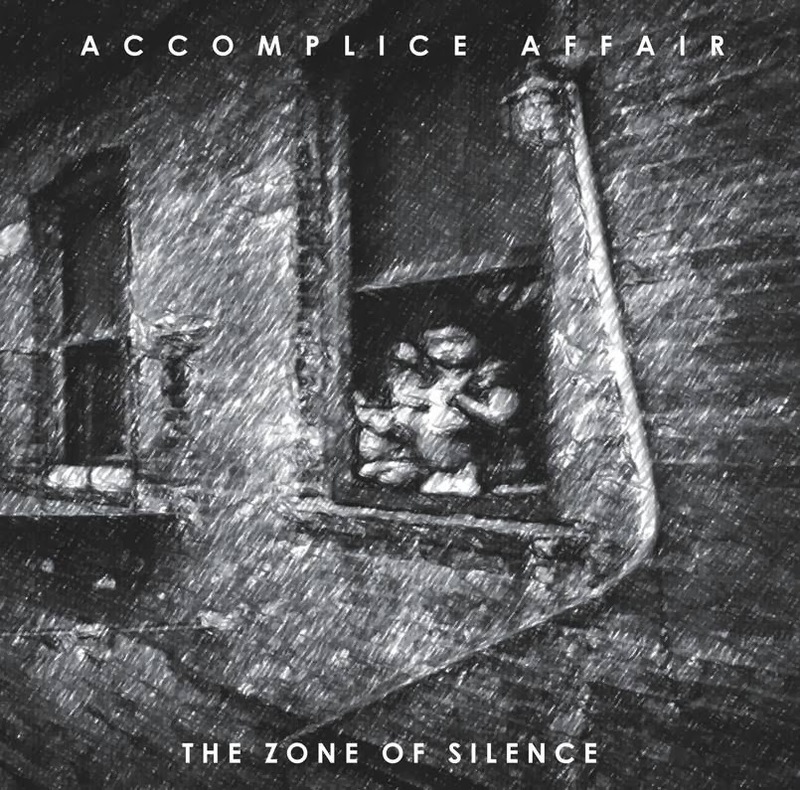 Accomplice affair just has a slight depth of the mastered sound of grime bit of aural soundscape which you might associate with something "dark" as well as influences with dark/new wave. But thanks to the substantial differences between a composer's thought here on this album and a vast amount of damp, generic, massively churned-out area of similar low key productions of this shabby type of music. Luckily all of this is not here. "The Zone of silence" is a nice blend of harmonies and vocals blend - spice of grey, quite rigiddly sounding songs have a great deal of narration which keep up your attention and don't get you bored. Poetic and mystical in a way but mostly grime and quite nihilistic almost hostile expression of the vocals plus live instruments make me feel of Crime and City Solution or Eyeless in Ghaza.